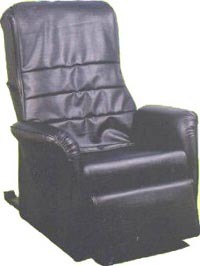 Home Shiatsu Massage Chair / Recliner (Genius -702) - Experience the ultimate relaxation of Shiatsu-style massage. The Home Shiatsu Massage Genius 702 is a delicate and ingenious massage chair. 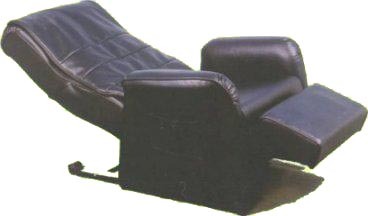 Modern ergonomic 'S' style chair back design and humanized build-in programs to perform rolling, tapping, pointing and kneading functions, make it an excellent massage lounger whose deep tissue Shiatsu massage is amiable for every human being. Adjustments for flexible rollers: unlimited flexible roller width adjustments and rollers can be moved and placed in the designated spots. Compare at $2200 ONLY $1500 ($99 S/H) !